We value our customers, and focus on building long-term relationships by doing everything we can to provide the best service, and highest quality products. 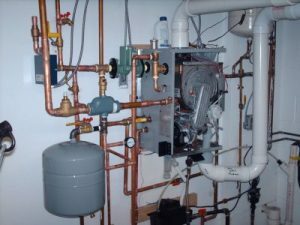 We want to make installing new equipment and maintaining your system simple. We offer discounted hourly rates to all our Service Contract customers, and our Elite Certified status with many of top manufacturers means we offer the best warrantees in the business. We can meet all your HVAC needs, and deliver the best installation and service you will find. Gelina’s expert staff are happy to provide a free consultation to determine your exact and individual needs so we can design a system that is right for you. We know energy efficiency is important, and we consider these best practices when discussing system options. We have a wide product selection, excellent service agreements, and the right pricing structure to insure your complete satisfaction. HVAC systems have a big impact on our pocketbooks and the planet, and that is why it is our top priority to be trained and certified on the latest technology in efficiency. Talk to one of the eco-friendly experts at Gelinas HVAC today – where going green is easier than ever! Our full-time office staff is available to answer your questions and make appointments. We want your call to be handled promptly and efficiently so you receive the service you need, when you need it. A Maintenance Agreement with us will minimize the need for emergency service calls, maintain operating efficiency of your system, and extend the life of your equipment through a commitment to routine service.